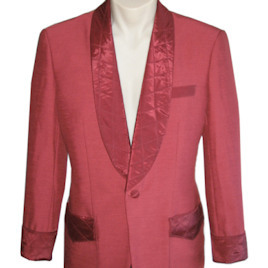 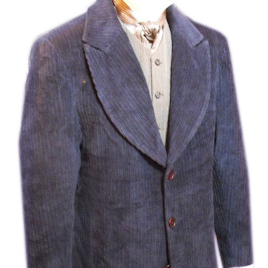 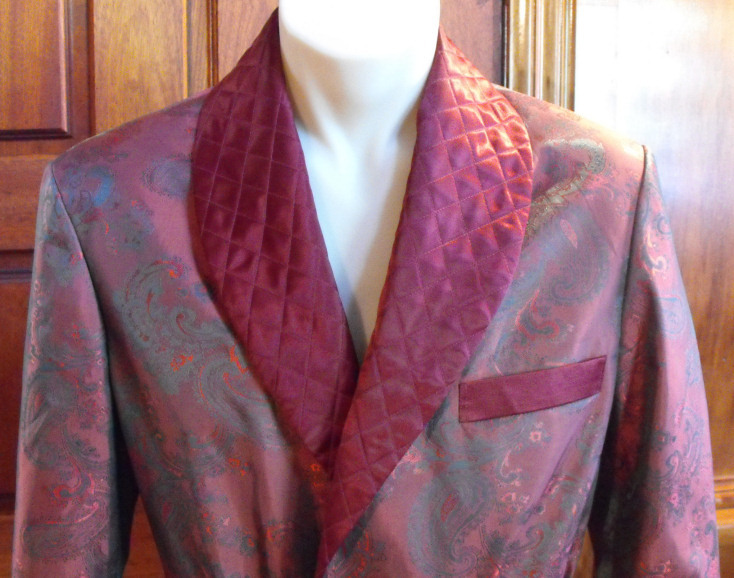 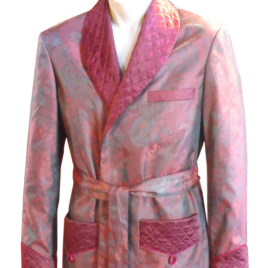 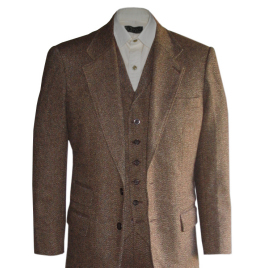 This traditional satin dressing gown is constructed just like a suit jacket with padded shoulders and fully lined. 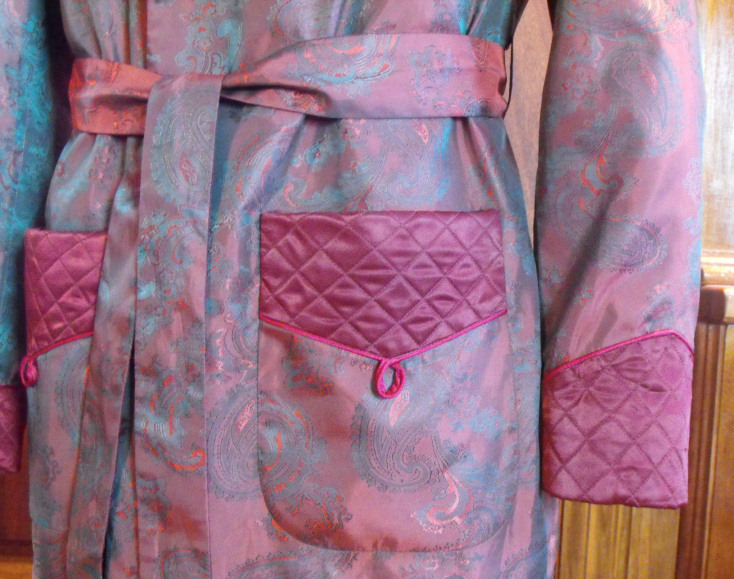 The fine satin collar, cuffs and pockets have a beautiful quilt stitching. 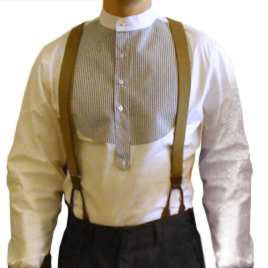 A long matching sash belt is included. 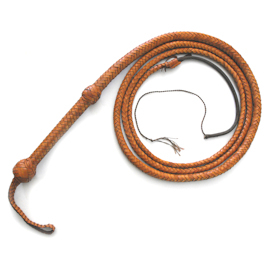 Warning: This product required measurements.